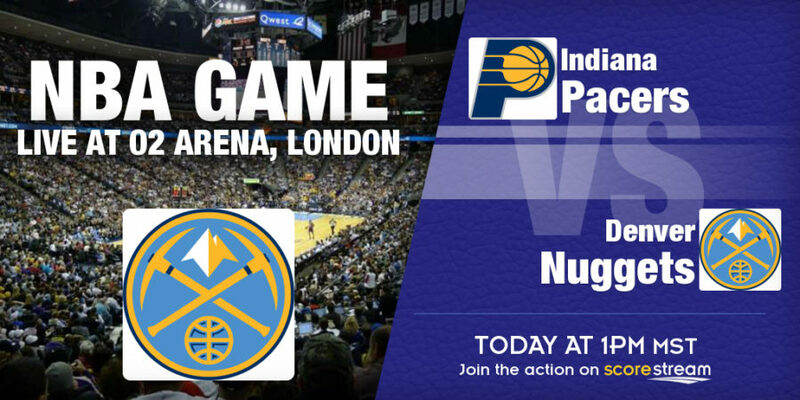 LONDON, UK – Paul George will lead the Indiana Pacers against the Denver Nuggets in an NBA game at The O2 ARENA in London, England on Thursday. Indiana (20-18) has won five straight since ending a four-game losing streak on Dec. 30 and George is hoping the Eastern Conference club can extend that run with another win outside the United State. George, who is averaging 22.5 points and 6.2 rebounds this season, is averaging 24.0 points per contest in the New Year. Four other players are scoring in double-figures this season, with Myles Turner at 15.8 points, Jeff Teague at 15.6, Thaddeus Young at 11.9 and C.J. Miles at 10.9 making up that list. Meanwhile, Denver (14-23) heads into the game on a five-game skid and has given up at 120 points in each of those games. The Nuggets, who are allowing 111.2 points per game this season, have allowed an average 123.8 points over the last five outings, which is a major concern for coach Michael Malone, whose team is scoring 108 points per game for sixth-best in the league. “We can’t be a team that just relies on our offense to pick up our defense,” Malone said the last defeat. Denver forward Wilson Chandler also believes the team must find a way to start winning games again this season, admitting as well that things need to pick up on defense. “It’s definitely getting frustrating,” said Chandler, who is averaging 16.2 points and 6.9 rebounds the campaign. Forward Danilo Gallinari leads the Nuggets in scoring this season at 17.1 points per game. A total of six players are averaging in double-figures for Denver this term. Both sets of players have been taking the time to enjoy the rare trip to London, but George has no doubt he and his teammates remain focus on why they are here. “We don’t want to lose sight of what this trip was about,” he told The Indianapolis Star on Wednesday. “This trip is to come over here and win a game. It just so happens we play it here in London. Don’t forget to visit teams official websites at Denver Nuggets and Indiana Pacers for more game coverage.